September had a bit of a sleepy start for fundraising, likely created by a combination of investors in “wait and see” mode due to shaky public markets and a well-timed holiday weekend that made the first week a wash. 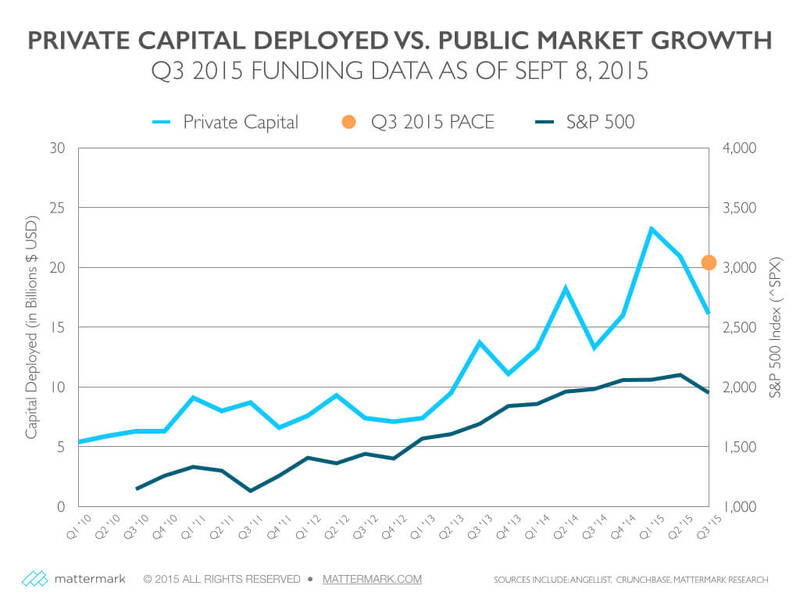 Private markets came back strong yesterday, and we have adjusted the Q3 total funding pace upward by a full $1 billion dollars from last week’s estimate. Big deals this week have formed a bit of a trend, with a $160 million Series D from Insight Venture Partners going to French ride-sharing service BlaBlaCar (MM Growth: 1,314). Uber (MM Growth: 57,597) pulled in another $1.2 billion in Series G financing led by Baidu, which brings their total lifetime funding to $8 billion, and announced plans for massive expansion into China. For context on that huge total funding number, Lyft’s (MM Growth: 2,516) total announced funding stands at a paltry $1 billion by comparison, with their most recent round of $150 million Series E coming from notorious activist investor Carl Icahn. We are proud to offer our customers up-to-date comprehensive coverage of funding events beyond the big stories so you can find diamonds in the rough early, and keep tabs on emerging trends. Our Funding Rounds view also let’s you sort and filter to focus on the investor, stage, industry, geography and other attributes you care about. We welcome independent thinkers! Sign up for a free trial of Mattermark Professional to access the underlying data. Want to be included in the Daily Deal Review? What I find interesting is pretty subjective. If you have a funding announcement to share, or you want your company included in the “interesting” deals send an email to editor@mattermark.com with the most pithy 1-2 sentence description. 10x better if you ask a thought provoking question. 100x better if you link to a tweet, gif, or video that made you smile.